* All prices quoted were correct during our stay and may be subject to change. Imagine a friend invites you to their house party with an awesome variety of new and interesting people to meet. You walk in and their house is in fact a luxury villa, complete with a pool, bar, restaurant and enough beds for everyone to sleep over. Oh and of course it's only 400 m from the white sand beaches of the stunning Kenyan coast. ​Welcome to Diani Backpackers, Diani Beach. 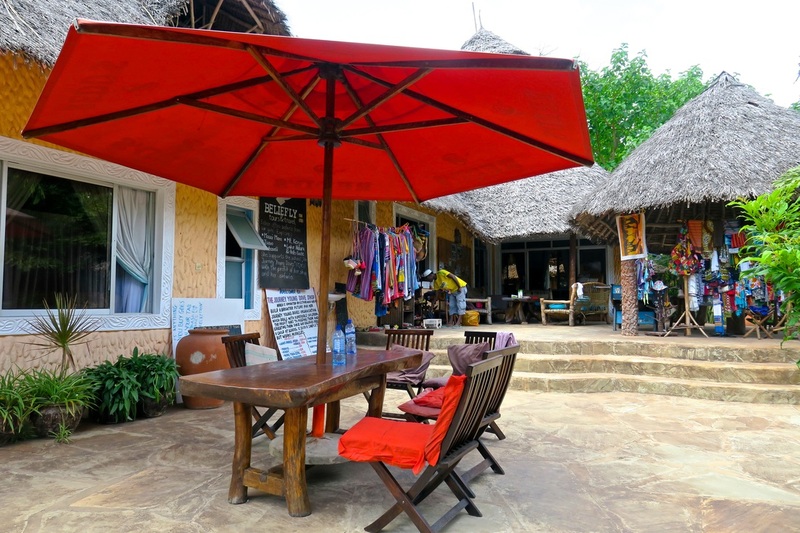 Diani Backpackers is a peaceful, chilled out haven during the day and an awesome, pumping party by night. It's everything you want from a backpackers hostel, in an exciting, unique location with ten months of summer and turquoise ocean lapping on the blindingly white pristine sand. Only one hour south of Mombasa, Diani is a series of luxury resorts, mid priced hotels and budget accommodations stretched over a stunning piece of Kenya's coastline. Diani Backpackers is a 5 minute walk back from the beach in a beautiful luxury villa complex that has been renovated into the awesome backpackers hostel it is today. 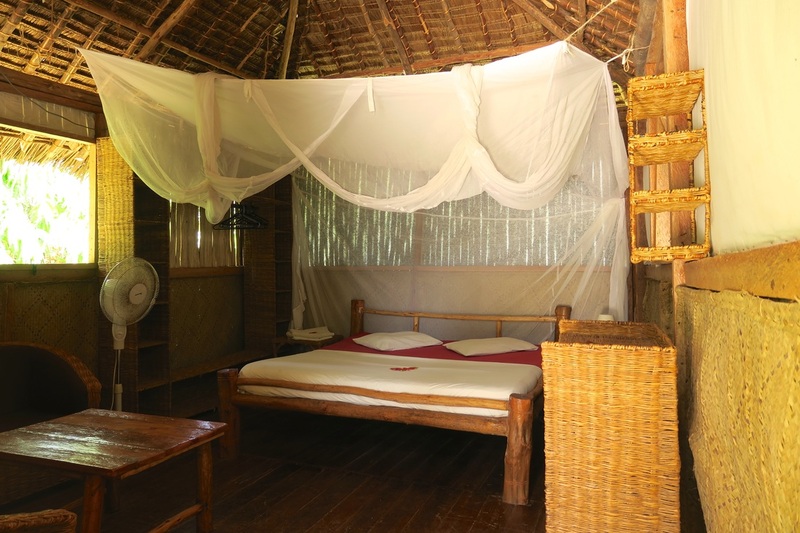 Accommodation options range from camping amongst the gardens, to dormitories, private rooms and even private bungalows. 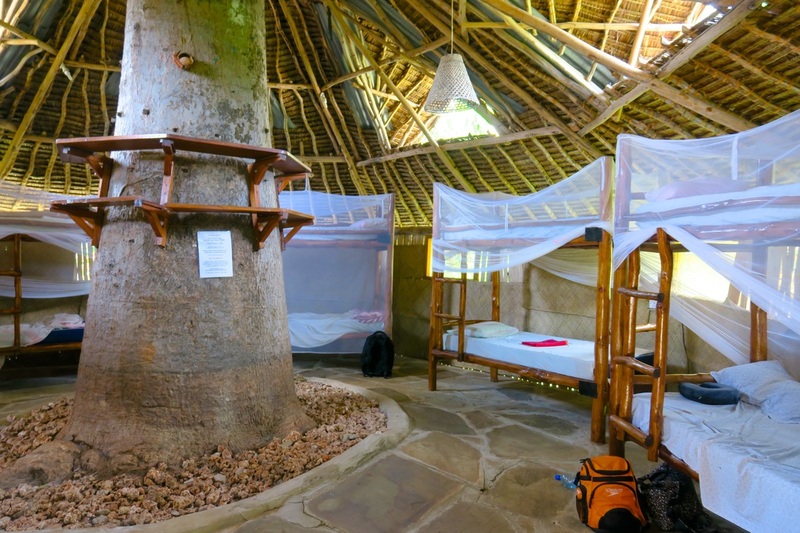 My personal favourite is the Baobab Dormitory, which has been built around a stunning bulbous Baobab tree, making it the centerpiece of the room and giving it a unique natural vibe. Bathrooms and showers are scattered around the property. 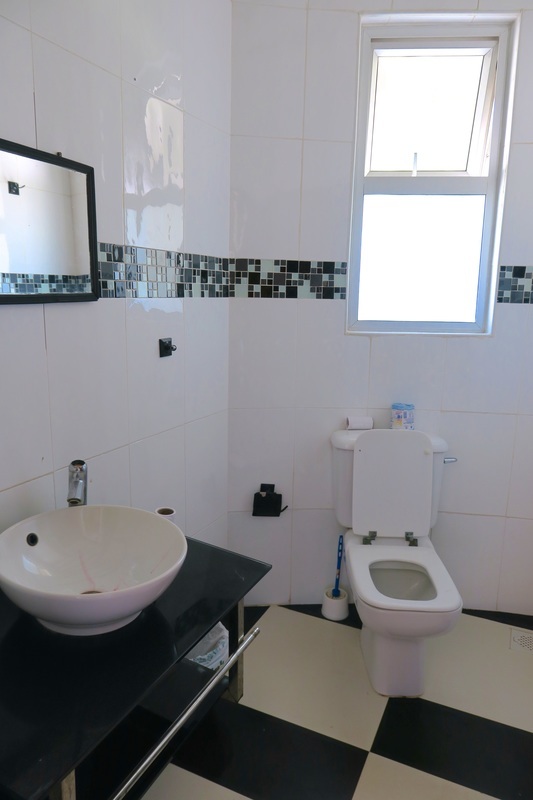 There are dormitories and rooms with ensuite bathrooms and those with shared facilities but at the end of the day, all facilities at this hostel are there to be shared, that's just the easy going atmosphere of Diani Backpackers. Outside you have comfy couches, lazy day beds, and plenty of bar stools to keep any bar fly comfortable, as the whole property centers around the resort style pool and spa. The bar serves plenty of beer, wine, spirits and cocktails to keep this young, fun-loving, traveller crowd choosing to spend their nights in, drinking well into the wee hours! The kitchen dishes up some lip smacking local and international meals for breakfast, lunch and dinner with everything from burgers to curries and a daily local special. There are also some beach shacks and a supermarket a short walk away, or plenty of bars, restaurants, resorts and a larger town centre all within a 15 minute drive. Depending on whether you've come to Diani to chill on the beach or fill your days with activities, Diani Backpackers has you covered there too! With a choice of excursions such as a full day snorkeling tour to the nearby marine park or a visit to the local primate rehabilitation centre, you can spend your days doing as much or as little as you choose. Or, have the best of both worlds by lazing by the pool during the day, then opting for the sunset visit to Shimba Hills where you can watch elephants strolling across the plains as the sun sets behind Mt Kilimanjaro in the distance. Simply breathtaking. 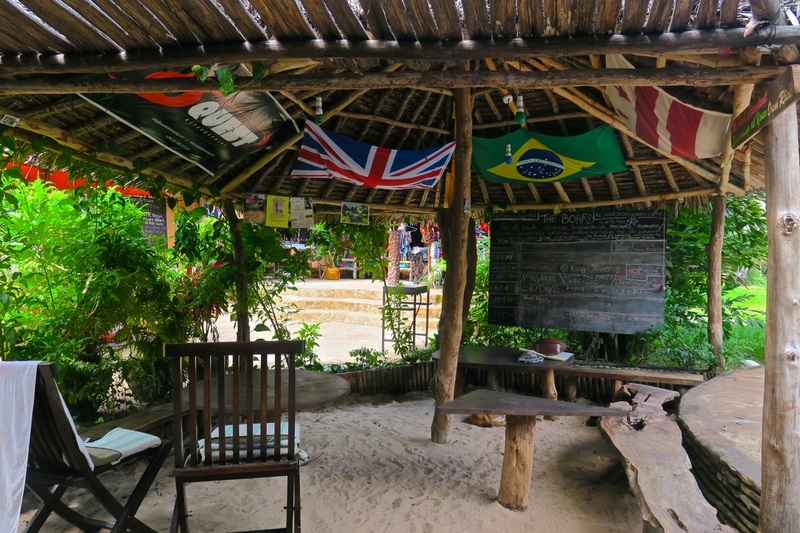 ​​The friendly staff at Diani Backpackers can also help you with laundry, travel advice and are also just a good bunch of people to chat with over a beer or ten. The safe and secure complex provides a comforting atmosphere where the dangers and annoyances of the outside world are left far behind. The staff are always willing to call taxis, tuk tuks and motor taxis for guests to ensure their safety with known and trusted drivers. 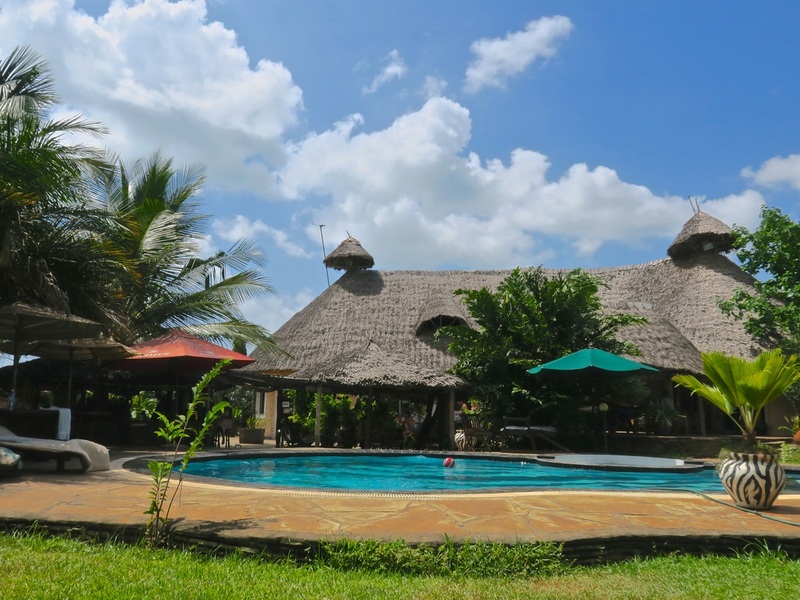 Look, at the end of the day, if you want a safe place to chill out, party like an animal and sleep in comfort after a long day, you won't find too many places along the African coast quite like Diani Backpackers. This is the place you visit for a day and stay for a week, so put some time aside when planning your trip to this awesome beachside backpackers! !